Come enjoy this 2 day workshop! 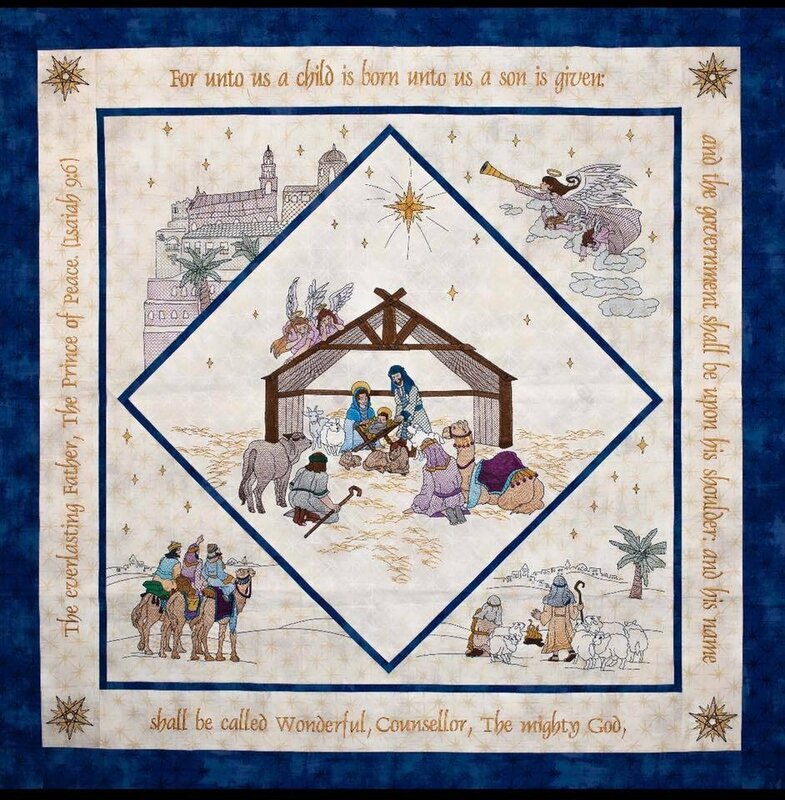 Make this magnificent quilt celebrating the nativity, with angels, wisemen, shepherds, and praising words. Bring the Spirit of Christmas to your home.